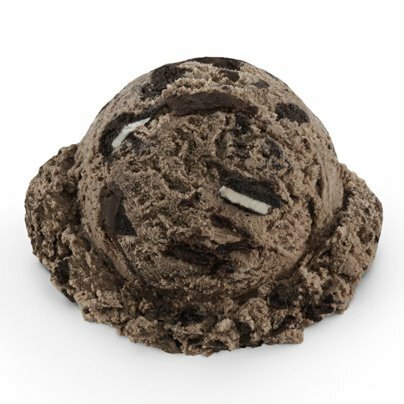 Baskin-Robbins Flavor of the Month this July is Oreo 'N Chocolate, a chocolaty take on the standard cookies 'n cream with chocolate ice cream, Oreo cookie pieces, and a fudge ribbon thrown in for extra chocolate flavor. As usual, the Flavor of the Month is available in a cup or cone as well as a milkshake or sundae. But the Oreo parade doesn't stop there! There's also a new Oreo Ice Cream Cake Bite, an Oreo Cookie Cake, and an Oreo 31º Below Soft Serve available. The new Oreo Ice Cream Cake Bite features Oreo Cookies 'N Cream ice cream layered over chocolate cake, covered in a chocolaty coating, and finished with a buttercream rosette.